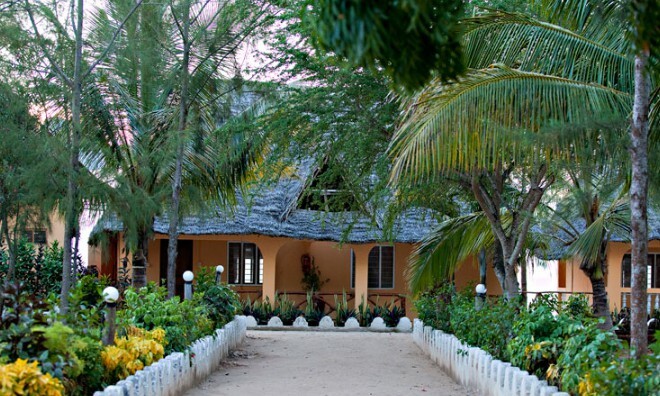 Rated as a real paradise, this sun nestled Zanzibar hotel is located, right on the beach with the most astonishing ocean views. From the deck, which is elevated above the beach, with a cocktail in hand, you are one step away from the water - life cannot get any better. 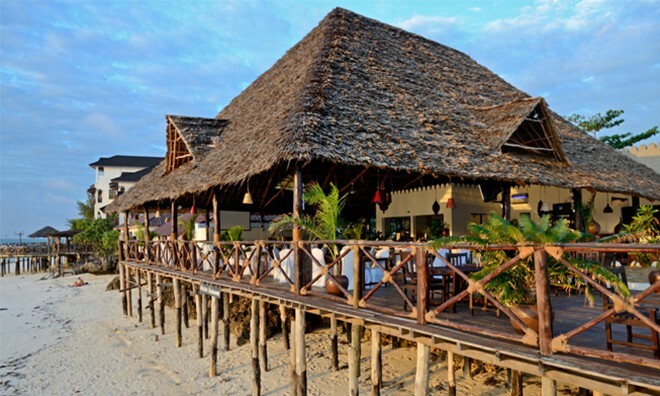 • Sea view bungalows with private balcony, almost overhanging the water. 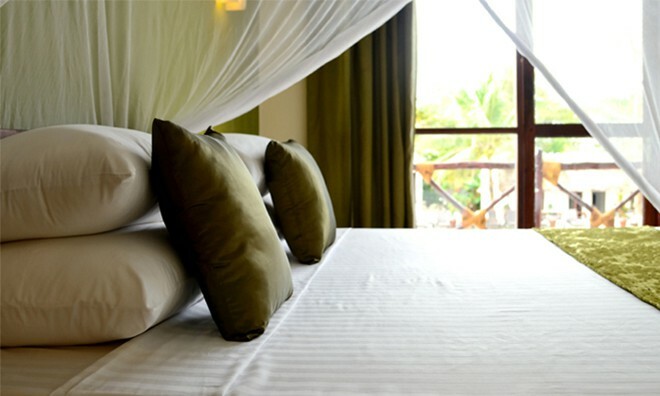 • Deluxe rooms are garden facing, larger rooms, ideal for a bigger share. base while day touring and exploring the island (no air-conditioner). 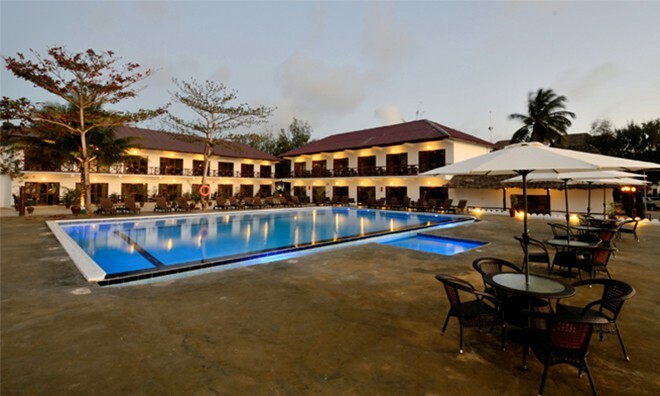 Accommodation at this holiday resort caters for a variety of budgets with or without specific requirements. 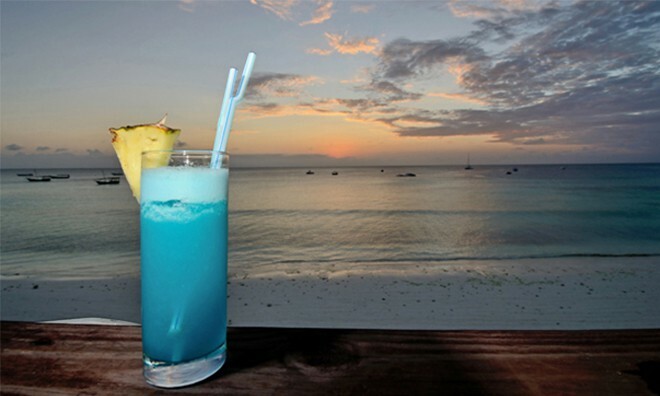 Enjoy your meals from the beautiful sea facing Marina Blue Restaurant or the Sunset Grill Restaurant. 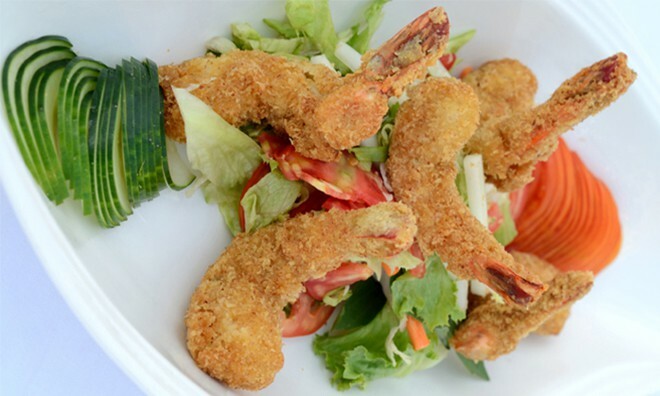 The restaurants are open throughout the day with ala carte menus for local & international cuisine. ranging from standard tours, dolphin trips, excursions to Jozani Forest or visits to various ruins around the island. Do visit the desk and plan each day of your stay exactly in your own way. Other facilities include an internet cafÃ©, souvenir shop and boutique. 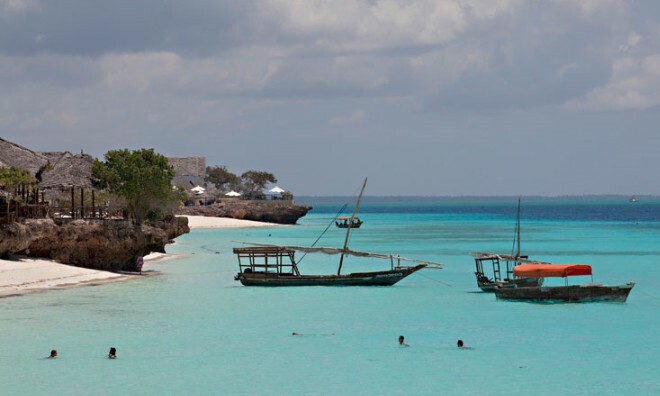 For the adventurous, this Zanzibar resort offers a fully equipped water sports centre where diving, deep sea fishing and snorkeling ensures unforgettable experiences. Sunset cruises and village tours specially are top of the list for family holidays. Hiring a bicycle to explore the village is a known necessity which will be enjoyed by the whole family. 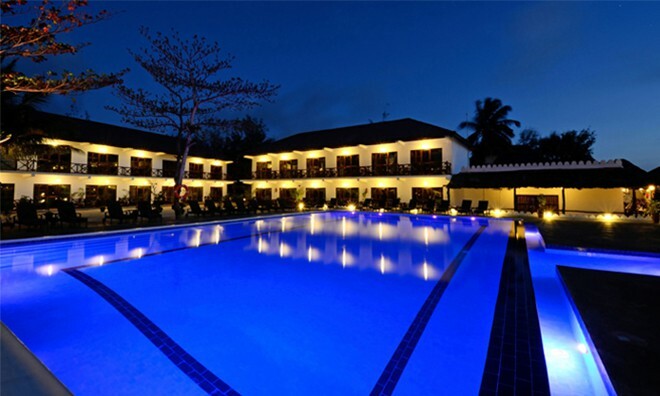 Flanked by the variety of entertainments and leisurely getting sun drenched, this Zanzibar hotel will label your stay with a definite return ticket to an ultimate holiday. 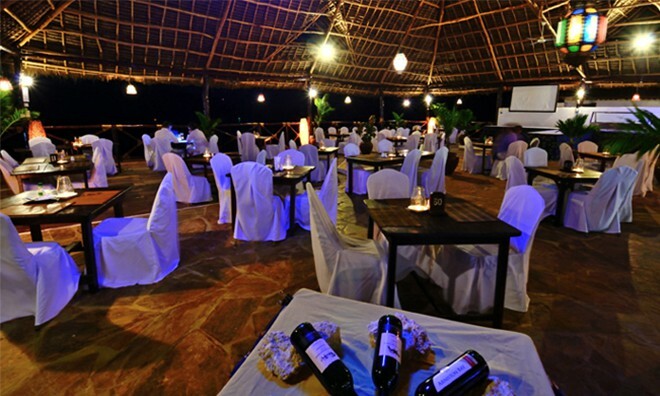 Why not share your experiences and reviews with the community and write a review for Amaan Bungalows Beach Resort.